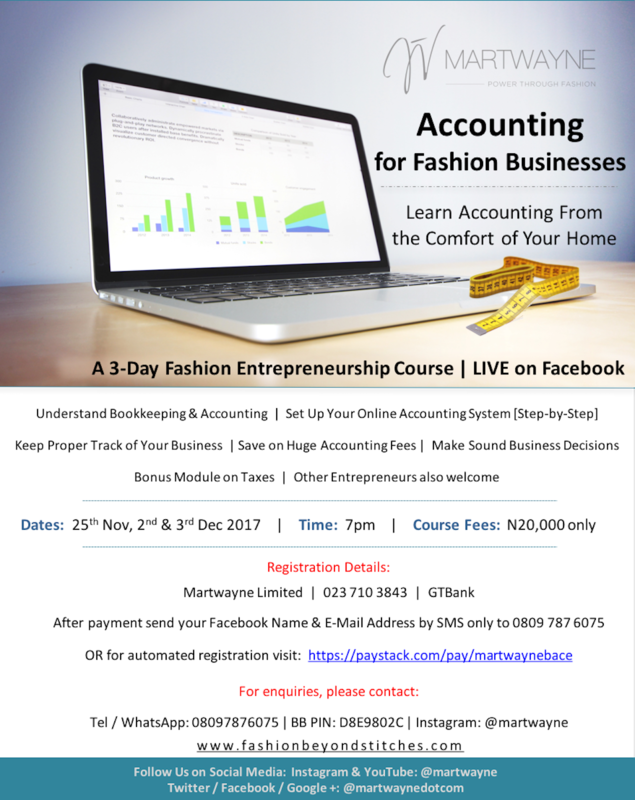 Martwayne | Power Through Fashion: Claim Your Discounts People!!! The Clock is Ticking! 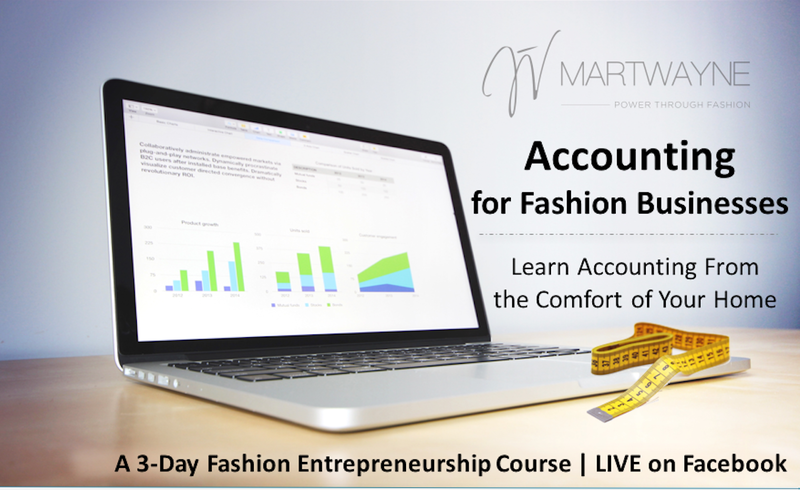 Get Up to 20% off our Online Accounting for Fashion Businesses Course. Claim Your Discounts People!!! The Clock is Ticking! Get Up to 20% off our Online Accounting for Fashion Businesses Course. You reach out to us and we listened! It starts on Saturday, 25 November, 2017! 3 awesome days of planning for the future!!! Ok so for those asking me what exactly the discount is despite the video, you get 10% off for registrations by Thursday 23rd November 2017. All my Martwayne people - i.e. anyone who has ever signed up for a Martwayne Course EVER (including the FECs) get 15% off! In fact, let's make that 20% off for my Martwayne people! :-D As my way of saying Thank You for being amazing to us! But your 20% also expires on Thursday as well! Please please register early. You need to read the notes BEFORE the class so last minute registrations will not work. I also have to send you the templates you will use for your business so you can ask me questions during the Course. It will be tough for last minute registrations. Registration is easy. Simply transfer the fees into Martwayne Limited, 023 710 3843, GTBank and send your Facebook Name & Email Address by SMS Only to 0809 787 6075. It will be worth it I can assure you! I am totally excited by it! And don't worry if you miss Day 1. The video will still be up and you can still catch up on it before Day 2. Location is not a barrier. Register wherever you are! You can send me a WhatsApp message on 0809 787 6075 or send me a message on Instagram if you have questions.